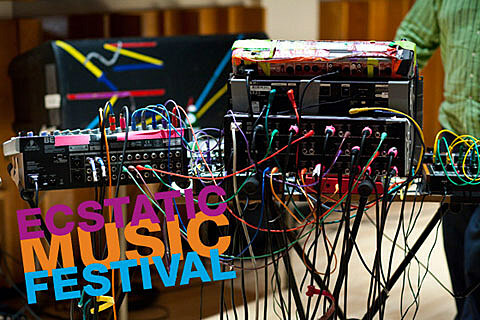 The Ecstatic Music Festival is returning to the Merkin Concert Hall at Kaufman Center from February 4 to March 28. The festival includes 11 shows over the course of the approximate two month period including performances by Richard Reed Perry (of Arcade Fire) with Son Lux and yMusic (who recently worked with My Brightest Diamond and St. Vincent), This Will Destroy You with composer Christopher Tignor and his band Slow Six, vocal octet Roomful of Teeth who will present a collaboration with Glasser and also present new work by Merrill Garbus of tUnE-yArDs, Rhys Chatham and Oneida, Dan Deacon with the NOW Ensemble and the Calder Quartet, The Mountain Goats with vocal quartet Anonymous 4, who will be performing material for John Darnielle’s new project Transcendental Youth, which were arranged by Owen Pallet. Many other artists are performing too, the full schedule is below. Tickets for individual shows are available now, as well as a festival pass, which allows you access to all 11 shows. If you purchase your tickets before December 10, you can get them for only $20.